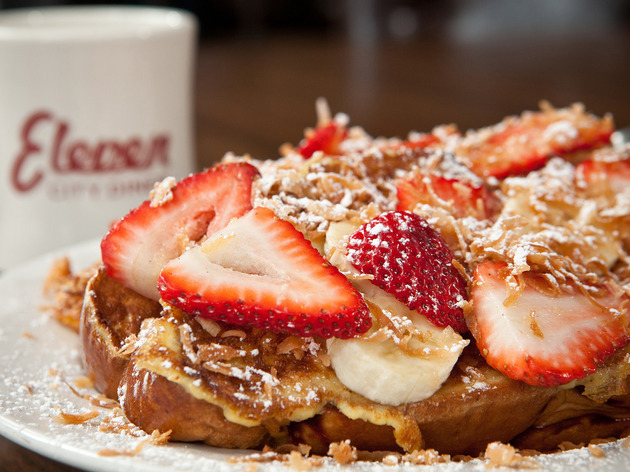 Who doesn't love breakfast and brunch? 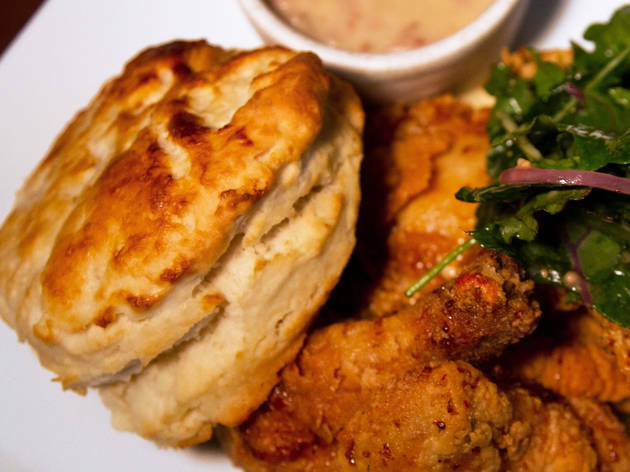 These plates, from scones to eggs benedict, are the best morning dishes of the year. Photograph: Martha WiliiamsCanele at Bad Wolf CoffeeJonathan Ory's new coffee shop makes the best pastries in town. 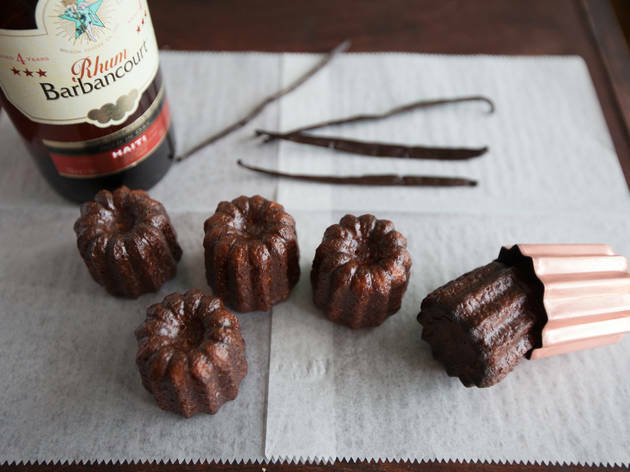 While you won't go wrong with anything, the caneles are the showstoppers. 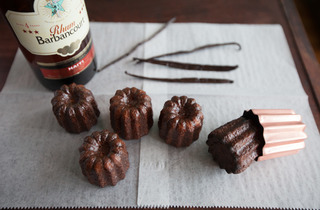 The small, bell-shape pastries, which taste like burnt sugar and have a custardy center, are only available at 10am on Saturdays and Sundays, so stop on your way to brunch. $3.50. 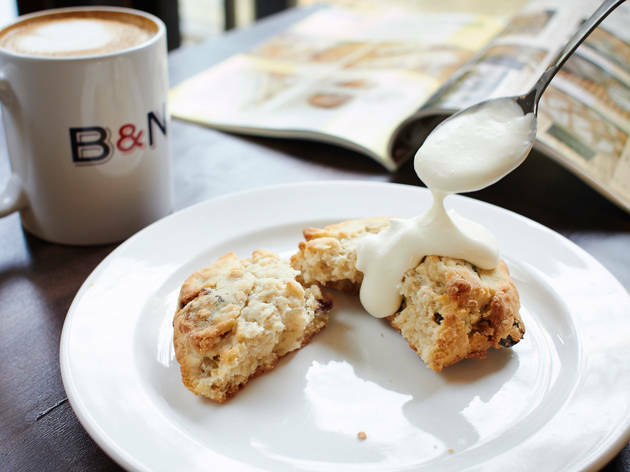 Photograph: Jason LittleCherry and oatmeal scone at Baker &amp; NoshScones are a tricky pastry to get right, and the vast majority is too dry or too soft. 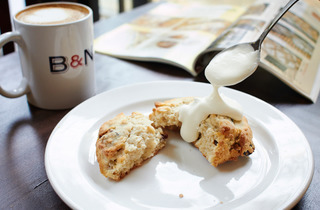 Baker &amp; Nosh nails it-there's a soft interior studded with tart dried cherries and oats and a crunchy edge. $3. 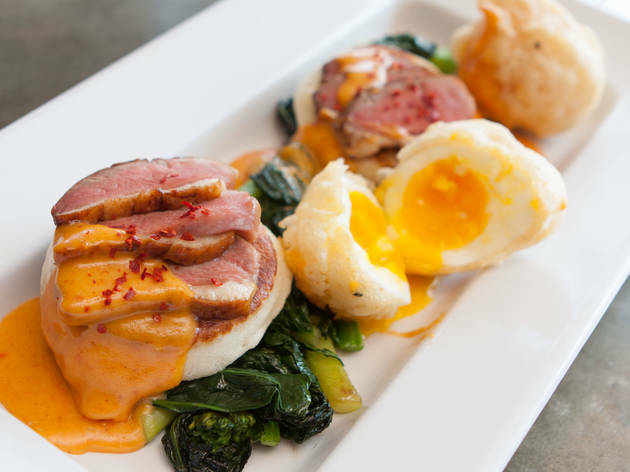 Photograph: Martha WilliamsDuck eggs Benedict at bellyQBill Kim's reinvention of the brunch staple in five easy steps: tempura-fried sous vide eggs + smoked duck breast + Chinese broccoli + bao buns + hollandaise doctored up with Korean chili paste, fish sauce and red Thai curry sauce = delicious. $15. 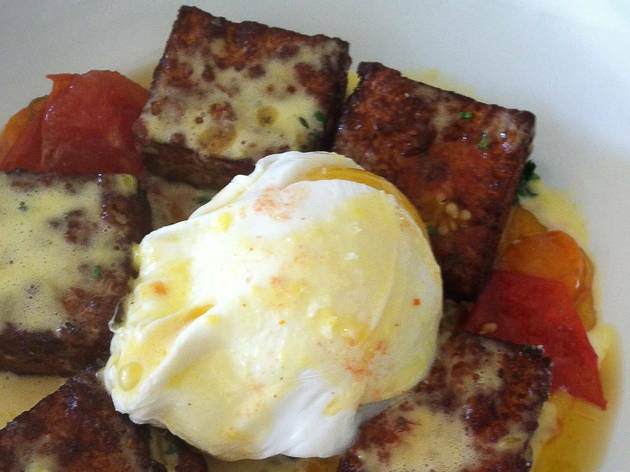 Photograph: Amy CavanaughCrispy semolina gnocchi at Bread &amp; WineLight, crispy semolina gnocchi is available all day at the Irving Park spot, but at brunch, it comes with a poached egg, hollandaise sauce and a fantastic spicy tomato broth. $10 at dinner, $11 at brunch. 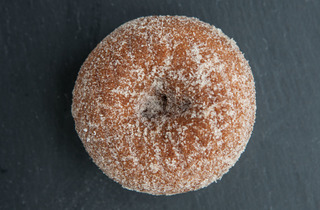 Photograph: Martha WilliamsCinnamon sugar doughnut at City DoughIn a city that's gone full-on doughnut crazed, we were excited to see a new doughnut that wasn't covered with frosting. 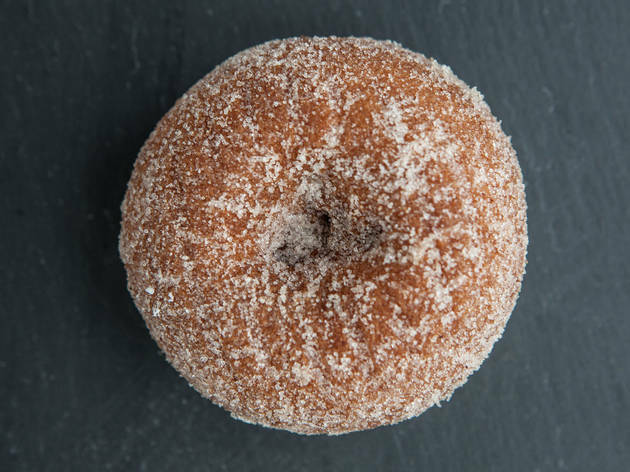 Enter the cinnamon sugar doughnut at City Dough: soft, cinnamon-y and so simple. $2. 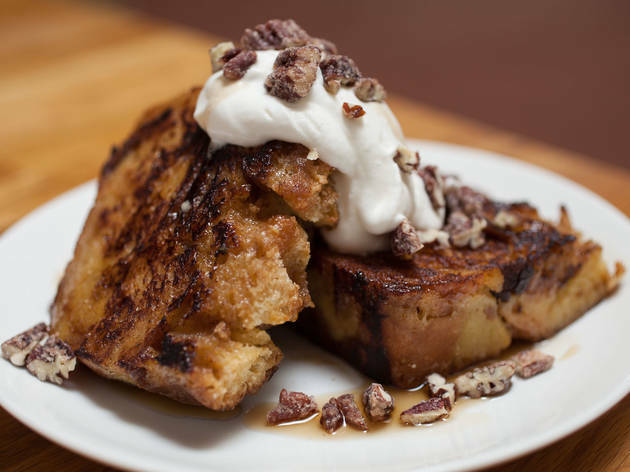 Photograph: Galdones Photography11 City French toast at Eleven City DinerFrench toast gets an upgrade with toasted coconut-encrusted challah bread. It's decadent, but the healthy serving of strawberries and bananas made us feel downright virtuous. $11.99. Photograph: Becca GriffinBiscuits at EndgrainThere's a very good reason the biscuit is available as part of the fried chicken dinner, as a side dish with butter and preserves, doused with sausage gravy and fried eggs at brunch, and turned into sandwiches-the crunchy-edged biscuit is the best in town. $3. 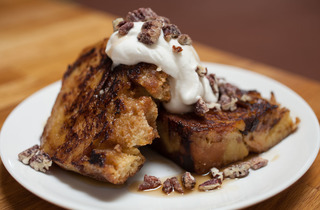 Photograph: Martha WilliamsBread pudding French toast at Flipside Caf&eacute;&nbsp;(closed, but reopening in a new location next year)Last winter's pop-up collaboration between Will Von Hartz and Alfredo Nogueira was the best incarnation of Flipside yet, with kale burgers and biscuit sandwiches joining the annual roster of grilled cheese and soup. 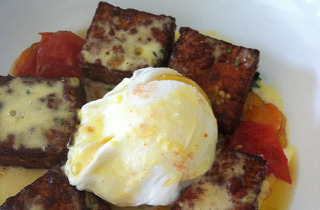 Our favorite time to drop in to the teensy ten-seat spot was for brunch, where Flipside indulged sweet tooths with a breakfast treat that fused the custardy texture of bread pudding with the crispy-edged glory of French toast. 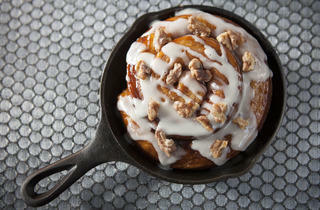 Photograph: Martha WilliamsSticky bun at GatherGather solved our sweet-or-savory brunch dilemma by offering small sweets on the side. 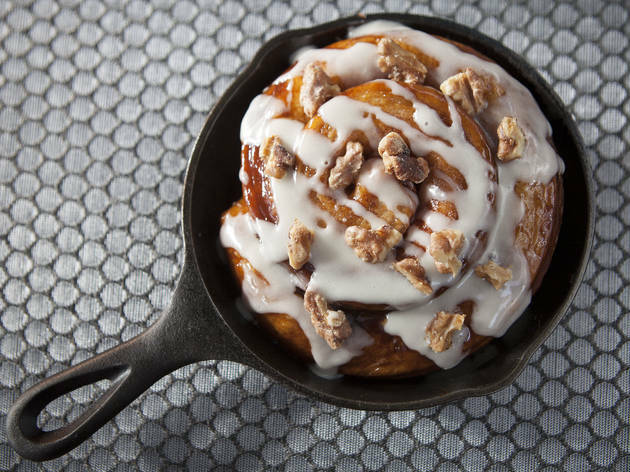 Skip the doughnuts in favor of the sticky bun, a gooey, buttery pastry topped with toasted walnuts. $3. 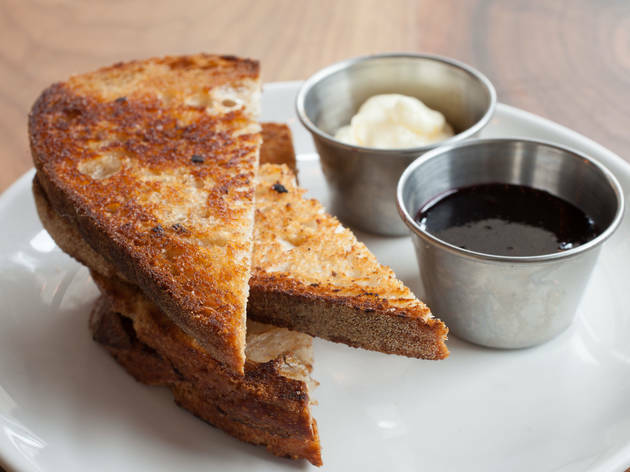 Photograph: Martha WilliamsToast with housemade preserves and whipped butter at Longman &amp; EagleThe simplest of breakfast foods, toast is rarely transcendent-unless it's from Longman. 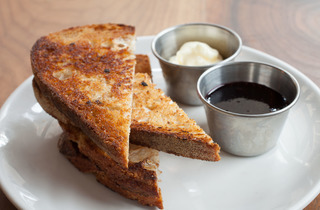 The Logan Square restaurant used to source sourdough from Red Hen Bread (pictured), but it recently switched to making the sourdough in-house. 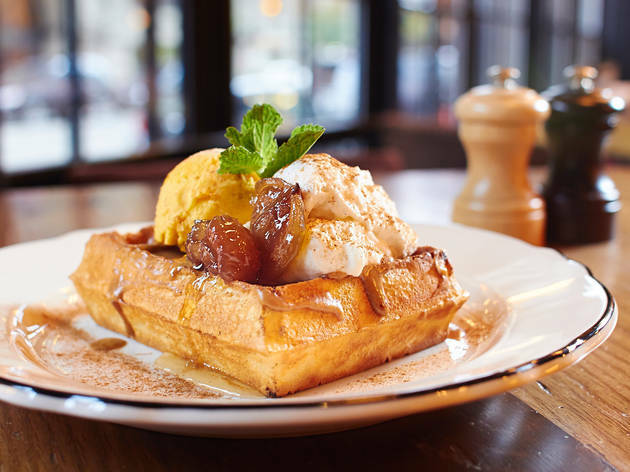 No matter where the bread comes from, the toasted slices are served with perfect whipped butter and rotating preserves, like strawberry. $3. 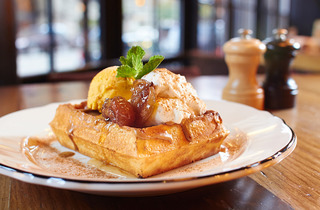 Photograph: Jason LittleBelgian waffle at Paris ClubThis waffle is topped with speculoos, a Belgian cookie butter. That's all you need to know. $6.95. 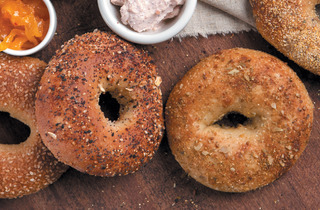 Photograph: Erica GannettWood-fired bagels at RenoReno gave Chicagoans what we didn't know we were missing: wood-fired bagels, chewy and crispy and flat enough to serve as canvases for wacky and ambitious spreads, jams and sandwich toppings. $2.25. 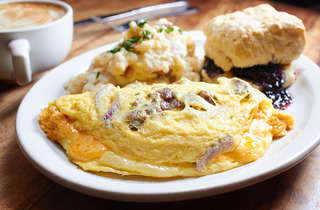 Photograph: Jason LittlePimento cheese, sausage and onion omelette at Southport GroceryWith a single dish, Southport Grocery upended our brunch expectations. 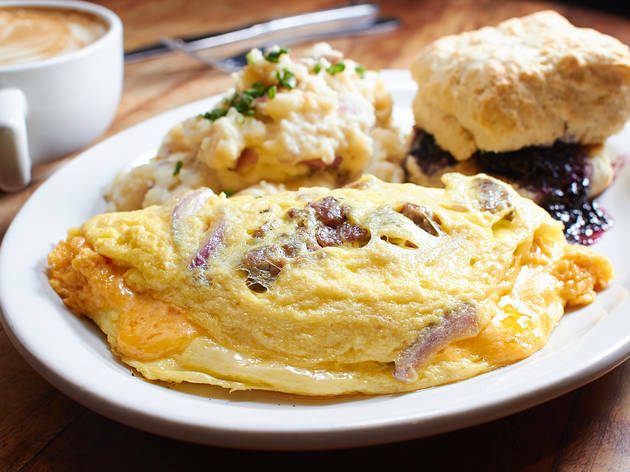 First, it fills its omelette with red onions, housemade sausage and a dollop of Publican Quality Meat's pimento cheese, a brilliant use for the tangy spread. Then, it serves the omelette with red mashed potatoes. 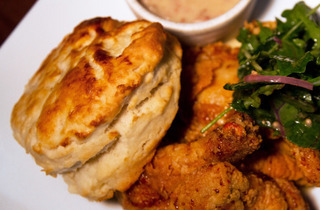 Remind us why we've been eating soggy homefries for years? $12. 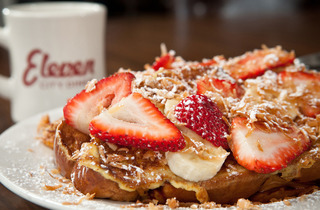 Brunch in Chicago is serious business, but breakfast shouldn't be overlooked either. 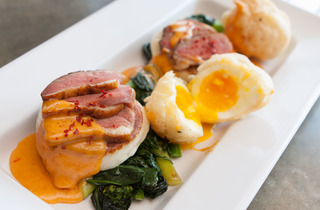 We spent our mornings this year sampling eggs Benedict, doughnuts and more. 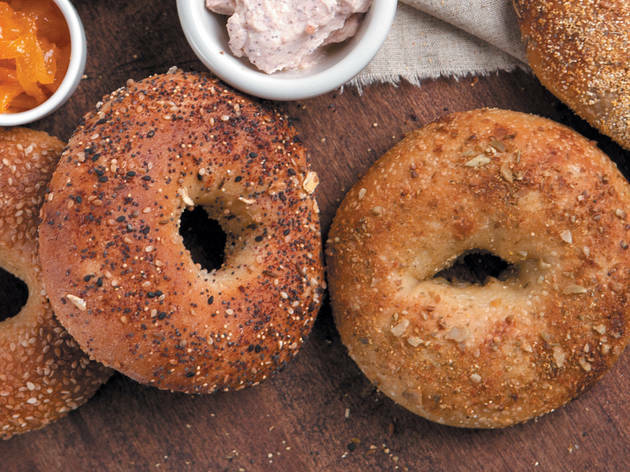 These are the best ways to start your day in Chicago.